We have already examined, in the previous chapter, the possibility of postmortem conversion, which is usually featured, at least as a hope, in most versions of inclusivism. Although there are a handful of passages that can be interpreted as pointing in the direction of this possibility, the strongest argument in favor of this proposal rests on the character of God’s steadfast love who looks for lost sinners until he finds them (Luke 15). 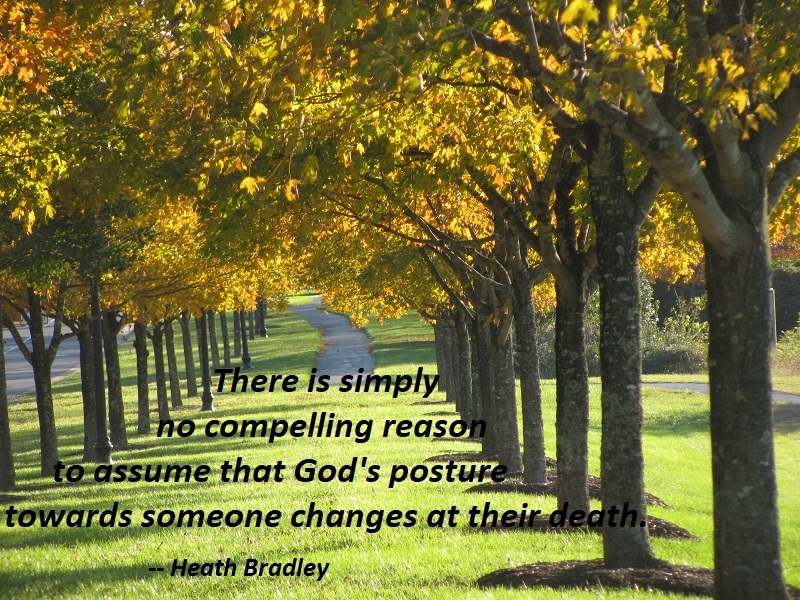 There is simply no compelling reason to assume that God’s posture towards someone changes at their death. There are also no explicit scriptural declarations that a person’s fate is definitively sealed at death. Often those who deny the possibility of postmortem conversion point to passages that affirm that human beings face judgment when they die (Heb 9:6; 1 Cor 5:10), but these passages do not spell out what judgment consists of and what is made possible by the judgment. These passages do not say that judgment leads to an eternally-dualistic outcome, but this assumption is often read into these texts. Supporters of the possibility of postmortem conversion will certainly agree with these scriptural affirmations that all people face divine judgment when they die, but they will also affirm that God’s judgment is designed to illicit repentance and foster reconciliation. Appeals to postmortem judgment, again, do not suffice to close the door on the possibility of postmortem salvation. This entry was posted on Tuesday, October 30th, 2018 at 8:50 pm and is filed under God, Love, Redemption, Universalism. You can follow any responses to this entry through the RSS 2.0 feed. You can leave a response, or trackback from your own site.